It's time for the lady of the castle to take charge in this thrilling adventure! When Dracula's old nemesis, Count Vargosi, escapes captivity, he has one thing on his mind: reaching the Moon Well, a magical place where he can become invincible! Normally, Dracula would try to stop Vargosi on his own, but he's away when the news breaks, so it's up to his wife, Elizabeth, to search for the villain. Incredible Dracula: Vargosi Returns is rated 3.8 out of 5 by 40. Rated 5 out of 5 by Starsmark from The Best in the Series! Incredible Dracula is incredible once again! I will pass on commenting on the debacle of ID4: Game of Gods. The game has 50 levels and has a "Free Mode" which means there is no timer and no stress. (I will not buy any game that doesn't have a true relaxed mode. I play games for fun and relaxation. There's enough stress in life without a game adding to it.) All the beloved resource buildings are back: BloodDonald's, Sawmill, Stone Quarry, and Bank. There's a new one: a Magic Elixir factory, which is fun. Dracula's wife, Elizabeth, along with Vladdy the dog, Frankenstein, and of course Rufus and his helpers are the main players. There are many new items to craft, potions to make and spells to cast. My only complaint is the dreaded caches, which appear in six levels. Most unfortunate of all, they are in the last level and mar the fun of the conclusion. My wrist always aches after playing a level with caches. This is a great game and I'm so glad the developers have reverted to the original gameplay. Highly recommended! Rated 5 out of 5 by Kirland from The Absolute Best In The Incredible Dracula Series!! So much involvement in each episode in "Vargosi Returns". I am enjoying this game so much. A long game if you are trying for gold. 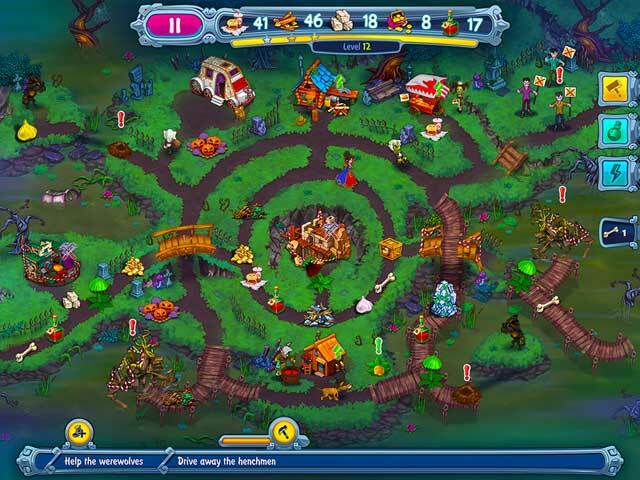 Lots to look at with colorful and nicely created graphics and sound track. Our charming and humorous characters return. It's a nice change to have Mrs. Dracula on a quest to save her husband. I like having to figure out the strategy to get 3 gold stars. I played some episodes over again for gold. All I can add is fun, fun and more fun. The only thing, I didn't like was if you clicked on the 2 men any time during the game, it would take you through the long dialogue again and that is 6 mouse clicks to get through it. I would like to see a skip dialogue button. Not a major problem for the overall enjoyment of the game. I hope this series continues. Thank you, developers, for the great gameplay. Rated 5 out of 5 by rudy1959 from Very Cool Game! This series has always been awesome and it's great to see the original creepy music being brought back. Does anyone know what Frankenstein says when he's assigned a task? It sounds like "I am Frenchy" but that makes no sense. Rated 5 out of 5 by Collydoll from Good to see old friends again! I was so pleased to see this game. I have all these games and re play them regularly. More please! Rated 5 out of 5 by biscuitsmama from MY FAVORITE TM SERIES HAS RETURNED JUST IN TIME FOR HALLOWEEN Every once in a while a TM game comes along that I love and Incredible Dracula Vargosi Returns is one of them. 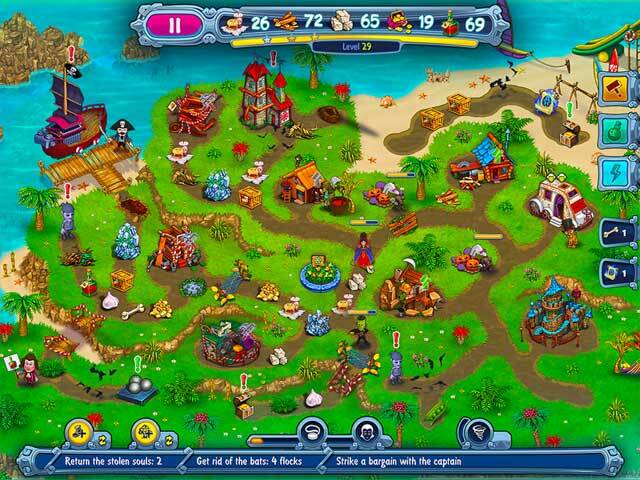 Although TM games are not my favorite genre, they have evolved and many offer a relaxed mode of play without a timer. When I found the first Incredible Dracula game – Chasing Love – my curiosity was tickled and that began my love affair with Incredible Dracula. I have every game in the series and think that Vargosi Returns is excellent. I like the fact that I don’t have to buy the CE or wait several weeks until the SE comes along. Since I am not an expert in playing TM games I am so thankful for the Free Mode where I can play the game without being stressed over accomplishing the goals in a timely manner. 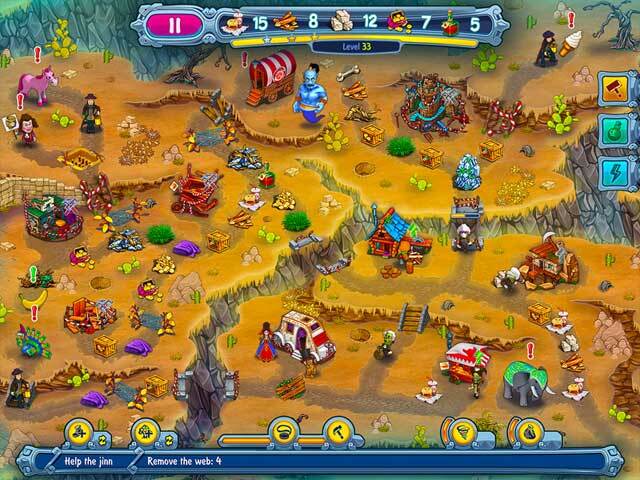 The graphics in this game are simply excellent and crisp – a good thing because the scenes are quite busy with things to do and sometimes it is difficult for me to find my way. I was a bit disappointed that my pal Dracula wasn’t in the game at first but I was happy that he did finally show up. That being said, it is so much fun seeing the other characters in the game such as Frankenstein. This series is wonderful to play particularly at this time of year as we approach Halloween but I have often played the games at other times particularly when I need a break from playing HOPA games. This series brings something new to the table and it is so much fun to play Incredible Dracula with all of its humor. I love Vargosi Returns and think it might turn out to be one of my favorite games in the series. If you have never played TM games and would like to dip your toe into the genre, I highly recommend trying the Incredible Dracula series. 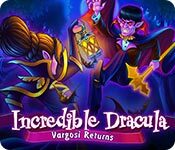 Even though I love this game, as always please try the demo to see if you will enjoy Vargosi returns or others in the series as well. Happy gaming! Rated 5 out of 5 by bmcper420 from Love it I love this series and bought it sight unseen. It's a must for me because it makes me smile and laugh. Rated 5 out of 5 by Sante001 from Excellent Game WOW! What a great game. I played the others in the series including the collector's version and I must say, this is probably the best. The game is challenging and the art work is great. To the developers, great job!! Rated 5 out of 5 by fatandfrumpy from Incredible game! I love the story, graphics are great, and was thinking not as difficult...........but by level 8 I need a couple tries for strategy. Super fun, a real challenge.